A lawyer who represents most of the families of the 47 people who died in an oil train derailment in Quebec two years ago said last week that a Canadian railroad’s refusal to pay into a settlement fund is ‘reprehensible,’ and the families will sue the railroad. Canadian Pacific states that it does not have any responsibility for the disastrous, fiery wreck in Lac Megantic Quebec in July 2013. It is blaming the derailment on the railroad whose train derailed. That Chicago-based attorney stated that Canadian Pacific knew that the oil from North Dakota’s Bakken region was very unstable, before it handed it off to the other railroad. Much of the downtown area of Lac Megantic was left in ruins when a train that was operated by Montreal, Maine & Atlantic Railway with 70 oil tankers. It derailed on July 6, 2013 and set off several explosions and blazes. The company in Maine has filed for bankruptcy, and the settlement fund is wrapped into those bankruptcy proceedings in Canada and the US. Wrongful death lawsuits have been delayed until the settlement is approved; it is valued at $339 million US. Judges in Quebec and Maine have approved the fund; it includes $110 million Canadian to settle all of the wrongful death claims. Canadian Pacific will not contribute to the fund and has opened itself up to many lawsuits. If it had contributed, it would have been offered legal protections. 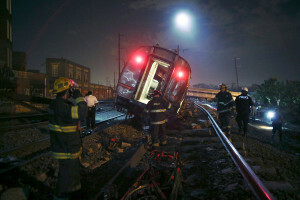 We are sad to see that Canadian Pacific will not accept liability for this tragic train derailment. 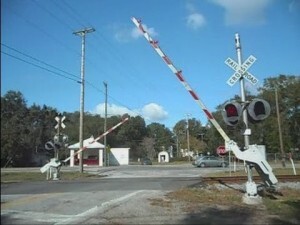 As railroad accident lawyers, we have experience with railroad companies trying to protect profits over people. Our law firm was proud to represent a gas station worker that was seriously injured when a Norfolk Southern Train derailed and smashed into his store. He was left with serious traumatic injuries and a traumatic brain injury. His first lawyer wisely reached out to our law firm to handle the railroad related liability aspect of the case, and we entered the case as co-counsel to jointly try the case in Manassas, Virginia. We not only helped prove the railroad was negligent, we helped to win him a $60 million verdict, later settled for a confidential sum.